Pine cones are beautiful! I tackled painting one this week, thinking it would be very difficult, with all the different levels and detail, but it actually came together easily! Even though it is a nice, warm fall in Central Oregon this year, I know it will be cold enough soon, and thought this would be a fitting subject for my Thursday small painting post. I’m offering this painting at a discount today only. Regular price $50-$75, but today, $40 for this original (not a print) painting on gesso-covered watercolor paper. Look at the gorgeous blues! 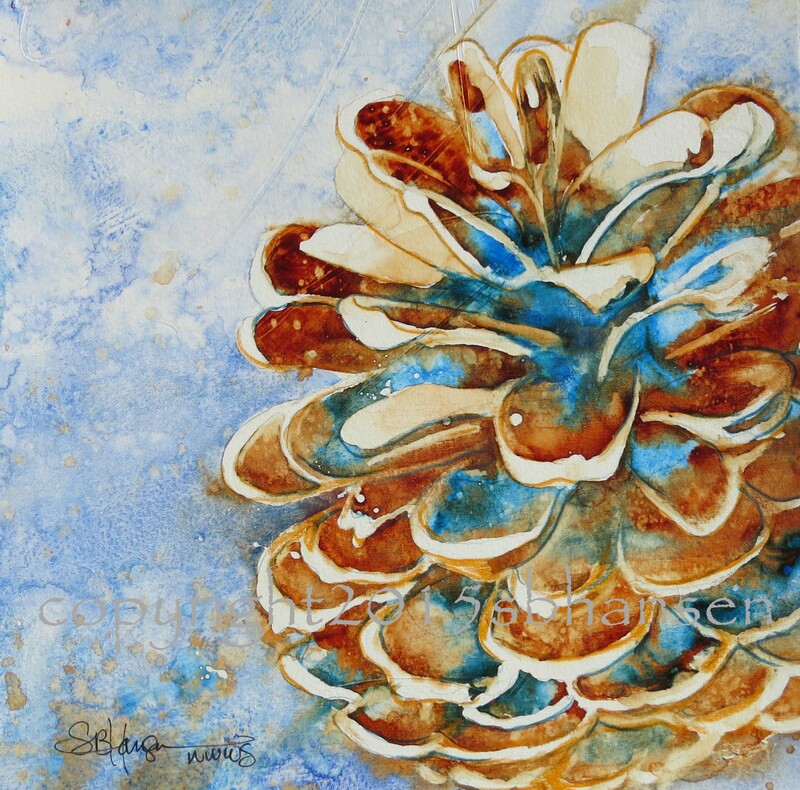 Pinecone Winter, 8×8 original watercolor on gesso-covered 300# watercolor paper. Regularly $50-75, $40 today only. Shipped with with mat board and backing to fit into your 12×12 frame. “Pinecone Winter” is available today only for $40. Shipping outside Bend $12 additional. First come, first serve! Send me an comment. Click Fine Art America sbhansenart for reproductions of this print. Custom order your greeting cards of this or any other image through sending me a comment and placing an order.